Please join Penn’s Village as we tour another of Philadelphia’s cultural, art, architectural and, of course, religious treasures. 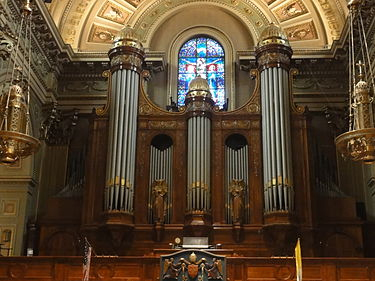 The cathedral, reminiscent of the Italian Renaissance, was dedicated in 1864 whenAbraham Lincoln was president and at the height of the Civil War. The Cathedral is a symphony of marble, stained glass, painting, sculpture and history. The Cathedral is located at 18thStreet and the Parkway, facing Logan Circle. We will meet at the front door of the Cathedral at 10:15 AM. Handicapped entrances are on both the left and right sides of the building. Admission for the tour is $1 - no larger bills, please. Please register by calling 215 925 7333 or emailinginfo@pennsvillage.org.